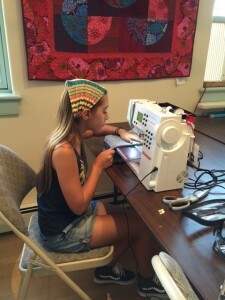 Kids will learn how to make a pillow case using 3 different fabrics and other fun projects. Ages 10 and up. Materials fee included in class fee. This class meets 4 mornings, 7/16-7/19, 9:30-1:00pm.